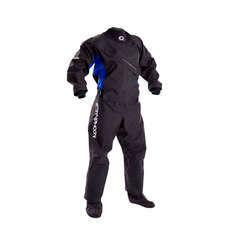 Top of the Range Front Entry Drysuit with a 3 Year Warranty! This is the choice of the shop with the added extra of a convenience zip. If you are looking for a drysuit for dinghy sailing then you can't get any better than this. 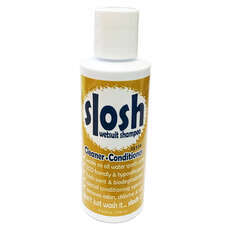 It has all the features you need and doesn't have ones that you don't, chest pockets and hand warmer pockets for example which you would be unable to access whilst dinghy sailing as they would be constricted by your buoyancy aid. We wear this suit for dinghy sailing in the winter as do many of our customers at our local sailing club. 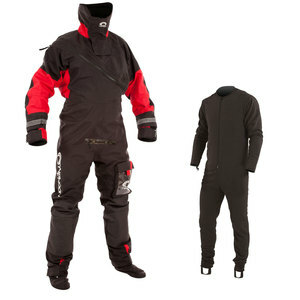 Featuring a soft, 4 layer, highly breathable and waterproof fabric combined with the high fleecy neck make this a very comfortable and warm suit to wear. 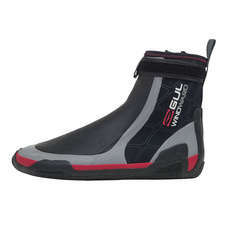 If you come in to the shop looking for a drysuit for dinghy sailing then you will leave with one of these. Convenience zip so you never get caught short!